This week the VOC Nation proudly welcomes Greg Oliver from Slam! Wrestling as he steps IN THE ROOM. Check it out for Greg’s thoughts on covering wrestling for more than 30 years; being such a strong part of Slam! 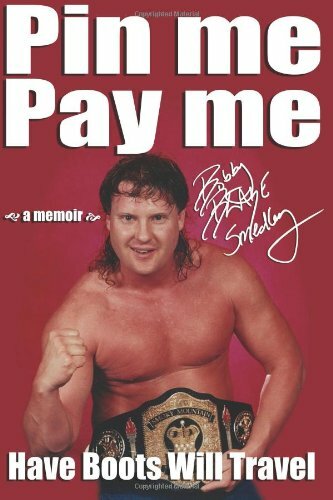 Wrestling’s legacy; the importance of wrestling’s Halls of Fame and the Cauliflower Alley Club; the value of telling a great story in the ring; his upcoming book — Pro Wrestling Hall of Fame: The Storytellers; and much more. Plus, Brady Hicks (Pro Wrestling Illustrated), The Stro (World Championship Wrestling), Kathie Fitz, Derrick McDonald, Matt Grimm, and Steve Anderson (Bobby Heenan’s Chair Shots and Other Obstacles: Winning Life’s Wrestling Matches) talk about WWE’s Royal Rumble show and plans for WrestleMania; the company’s acknowledgement of Becky Lynch’s emergence and Dean Ambrose’s departure; Alexa Bliss’ return; and Ronda Rousey’s ultimate plans. Plus, open phone lines for two full hours and so … much … more! Thanks, as always, for the support.